Taska may be one of the fresher faces on the market, but that doesn’t mean it’s short on quality. Many of its products have already won awards in the industry, as voted for by you – the anglers who use and love them each day you’re out on the bank. The company was founded in 2011 by Steve and Annie Tasker, who already had forty years of angling experience under their belts. All this experience was directly injected into the company, creating the modern brand with a traditional heart that aims to bring the joy of angling firmly into the twenty first century. Together they complied an expert management team, constructed of a vast array of talented and experienced associates who are all mines of knowledge when it comes to the exacting specifications of the UK tackle industry. 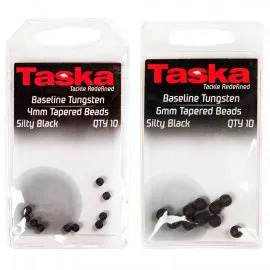 Producing goods predominately for the carp fishing industry, Taska has been an innovative brand since day one, and pride itself on its use of younger, under the radar anglers to get product feedback. The company’s theory is that these younger anglers will not have the product ties and biases of more established anglers who have been fishing for decades, and can therefore offer up a much truer opinion of the product. Not only this, but these younger anglers are key to its innovation process, as they are experiencing the problems of modern angling first hand. This isn’t to say that it doesn’t consult with more established anglers too. Stalwarts such as Terry Dempsey work alongside young blood Kieran Panchal and Harry Law, despite a 30 year age difference. The company believes that its balance of old and young blood is what makes it stand out from the crowd, and gives it the ability to create innovative tackle that works just as well on the bank as it does on paper. The youthful element of the company means it is often leaps and bounds ahead in terms of new technology. With a bespoke website and prominent social media presence, it is invested in providing its customers with the key information they need to make an informed decision. Taska is also leading the way in terms of app technology, and regularly releases free apps to aid anglers. Not only this, but its luggage range includes cases for popular tablets, such as the iPad and the Samsung Galaxy. In this way, it is embracing the modern era of angling, where others disown it. 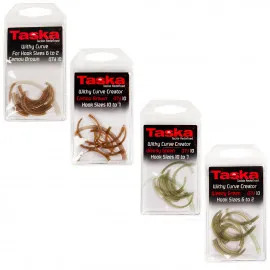 Taska doesn’t only use cutting edge technology for its apps and website, but also in the production of its tackle. The company is probably best known for its innovative injection moulding system. 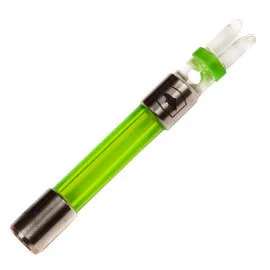 It injects Tungsten, a rare chemical element that is known for its robustness, high density, and high melting point. All of these make it the perfect component for its baseline terminal tackle collection. Taska produces high quality products using innovative materials, meaning you get great value for money each time. Taska is proud of its British hertitage, and aims to honour this by manufacturing as many of its products in the UK and Europe as possible. Local production allows Taska to have optimum control over the production process, meaning the end product is exact to the initial design. It is also proud to put more product in each packet than any other mainstream company. This means you really are getting more for your money when you buy a Taska product, not only in terms of quality but quantity too.